2. Life was so simple at one time...you've got it right with this blog. Don't worry about it. 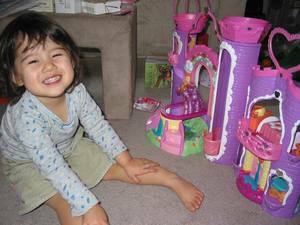 I had a My Little Pony castle (and a whole bunch of My Little Ponies) when I was little, and it didn't stop me from being a tomboy at the same time. And going into martial arts briefly when I was a teenager.